Quality works with reasonable estimates proved to be a powerful combination. Bidding was strong across all categories as shown by the numerous world records set. The sale indicated continued strength in the antique decoy, vintage fishing tackle, folk art, decorative, and sporting art markets. The top lot was A. B. Frost’s Quail - A Covey Rise. 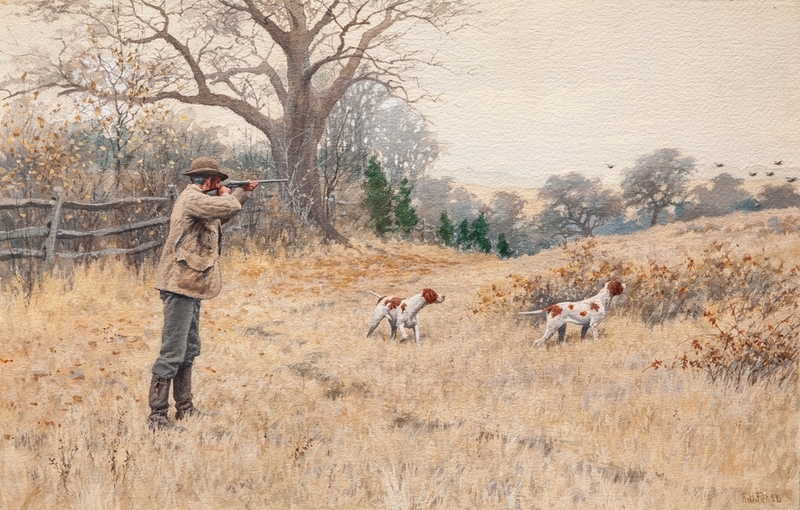 The watercolor set a new auction record for the artist, achieving $180,000 on a $40,000 to $60,000 estimate. The catalog for Copley's February 12th Winter Sale will mail next week. Over 560 lots of sporting art, American paintings and prints, antique decoys, folk art, vintage tackle, and more. To order a copy click here.